Cards with opposites, to print, cut, and play the memory game with. 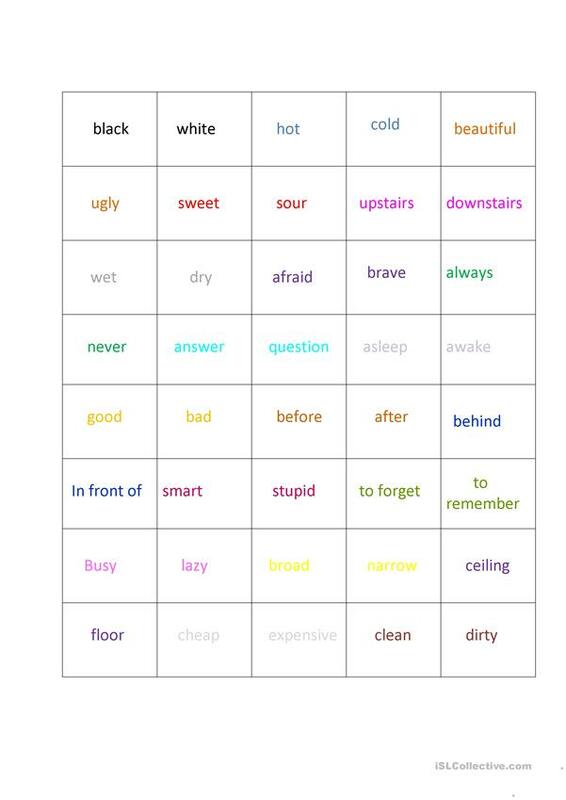 The opposites used here can of course be modified for the appropriate level you're teaching. The present printable, downloadable handout was created for high school students and elementary school students at Elementary (A1) and Pre-intermediate (A2) level. 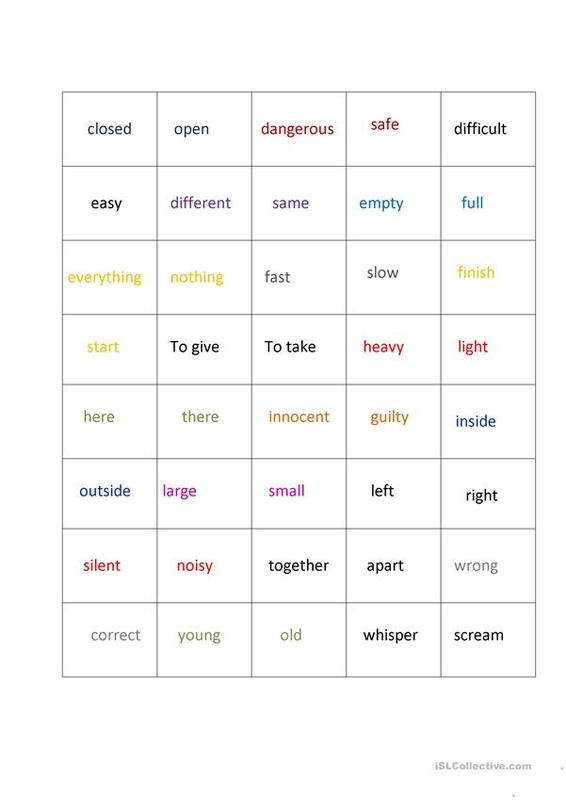 It is a useful material for consolidating Adjectives in English, and can be used for strengthening your class' Reading skills. It features the vocabulary topic of Opposites. kecil is from/lives in Netherlands and has been a member of iSLCollective since 2011-01-22 21:48:26. kecil last logged in on 2013-05-22 11:42:51, and has shared 2 resources on iSLCollective so far.